Disclosure: This post was sponsored by Birds Eye and my thoughts and opinions are my own. 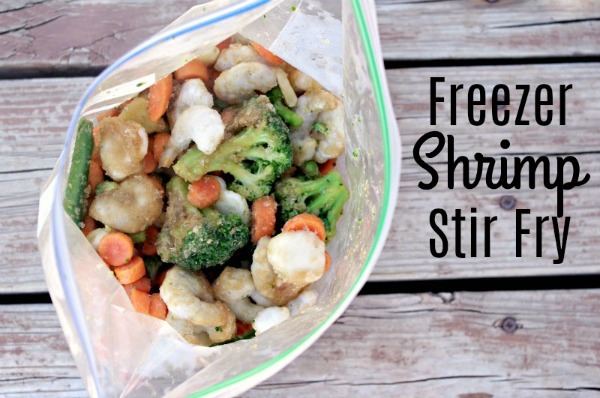 This Freezer Shrimp Stir Fry is so easy! You literally throw everything in a baggie mix it up and Freeze until you need it! Massage well to mix all your ingredients together, and freeze until ready to use. 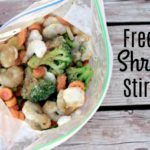 You’ll want to use a Freezer storage bag for safe freezing. Write directions on your bag to saute in a preheated skillet for 5-8 minutes or until heated through. We like to serve over rice. I have a question. Does anyone else have mega jealousy over the moms who make 30 freezer meals in 1 day? I might feel like slightly less than an underachiever if I were to stand next to one of them. Which I don’t! Because I do not want to feel that way! While my freezer may not be stocked with a months worth of tasty dinners, I do like to keep my favorites handy! Some of which are Birds Eye fruits and veggies. They go with everything, and their steamfresh products mean we’re only minutes from prep to table with an oh-so-easy cleanup too! Teens need to learn to cook. It’s a life skill. You’d be surprised how many can’t. With the loss of required Home Ec. and Shop classes the next generation can barely scramble eggs or change a tire! Let’s not even talk about roasting a chicken or changing your own brake pads! Anyways!!!! 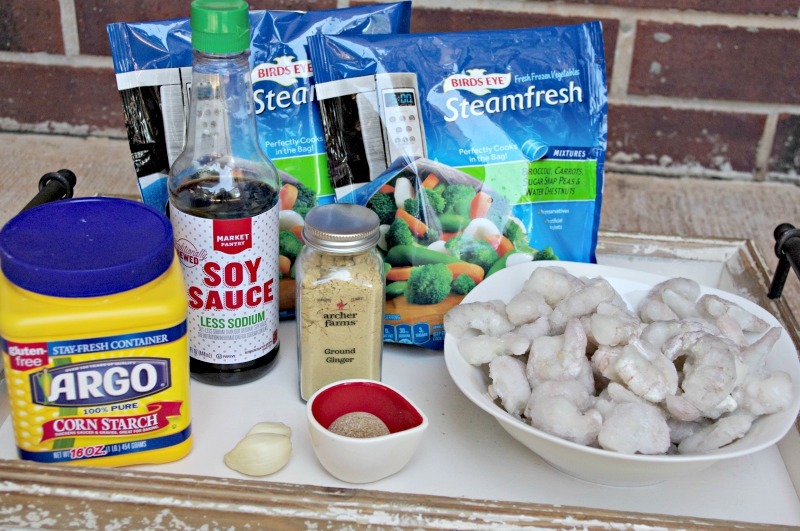 I’m on the lookout for meals that are what I like to call, “teen proof!” Our Friends at Birds Eye help tremendously when it comes to teen proof meals. I love knowing that my teens have no excuse not to cook and eat everything from peas, to squash, to Roasted Red Potatoes in Garlic and oil (Oh So Yum, BTW!) They cook perfect every time and with no mess! Then there’s their Viola Selects line that are complete ready to cook meals that come in regular or family size. Whatever your need, they’ve got the perfect fit! I hope you enjoy Birds Eye as much as I do! Massage well until all ingredients are well distributed. When ready to cook simply preheat your skillet and dump in all of your ingredients. Saute for 5-8 minutes or until cooked/heated through.